Rochester Electronics is the world’s largest continuous source of semiconductors–100% Authorized by over 70 leading semiconductor manufacturers. Rochester manufactures and distributes end-of-life (EOL) and active products for the industrial, transportation, military, medical, energy, civil aviation, automotive, and telecommunication markets. Rochester services distributors, original equipment manufacturers (OEM), contract manufacturers (CM), and original component manufacturers (OCM). Rochester offers authorized semiconductor product replication/re-creation services–form, fit and functional drop-in replacement with 100% software compatibility, no errata. Rochester Electronics’ growing product and service portfolio continues to provide an authorized source of supply directly to customers around the world via our global sales offices, and our authorized distribution network. 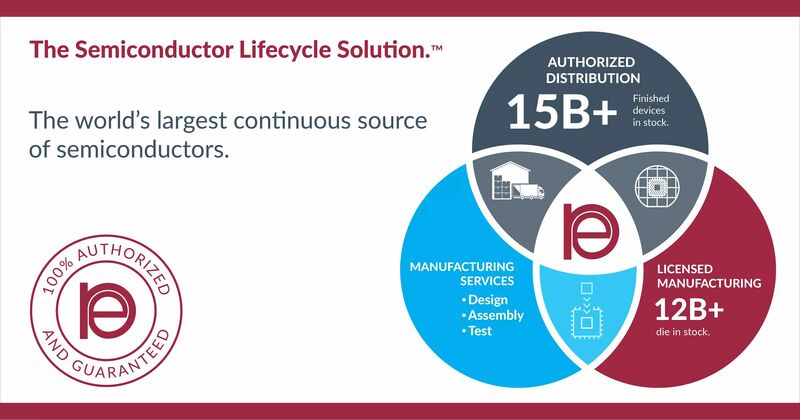 We thank our Suppliers, Customers, Distribution Channel Partners and valued global employees for enabling us to provide The Semiconductor Lifecycle Solution™. Please visit www.rocelec.com to learn more about our comprehensive inventory and solutions.